However, the recent 25bp repo rate cut is expected to boost much-needed consumer confidence. While last week’s surprise rate cut by the Reserve Bank is expected to offer some respite to hard-pressed consumers, it may not yet be the panacea to SA’s ailing housing market. For the first time in five years, the bank’s Monetary Policy Committee cut the key repo rate by 25 basis points to 6.75% due to a much-improved inflation outlook – reducing the borrowing rate from 10.50% to 10.25%. Borrowing costs have risen by 200 basis points since the start of the rate-hiking cycle in 2014. SA’s homeowners may breathe a sigh of relief but an end to rising borrowing costs hinges on the state of the economy, the rand, and inflationary pressures that the local unit might bring. FNB property strategist John Loos, said a cut to borrowing costs would only help existing and prospective homeowners “at the margins”. With the new borrowing rate, homeowners would save R167 and R836 on monthly payments on a R1 million and R5 million mortgage bond over 20 years respectively (see other mortgage values and savings below). Loos said homeowners may see substantial benefits if there are further cuts to borrowing costs by the Reserve Bank. “But for now, the recent rate cut could boost a bit of confidence and sentiment. That’s the bigger psychological impact rather the rands and cents impact,” he told Moneyweb. Consumer confidence in the second quarter of 2017 has sunk to its worst level since 1982, according to the FNB/Bureau for Economic Research, with consumers concerned about their future financial well-being. Existing homeowners could use the savings on mortgage payments to reduce their levels of indebtedness. In fact, this has already begun if the recent figures of household debt-to-disposable income ratio are anything to go by. The ratio has been steadily declining from the highs of 87.8% in the first quarter of 2008 to 73.2% in the first quarter of 2017, helping households to become less vulnerable to economic shocks and higher borrowing costs. Jacques du Toit, property analyst at Absa Home Loans, supports Loos saying further cuts might boost the level of first-time homebuyers. 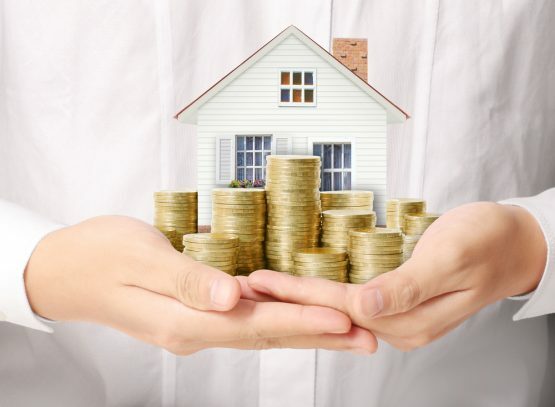 “First-time homebuyers are under pressure in terms of their finances and it’s difficult for them to get to the point where they can afford a mortgage,” said Du Toit. The level of first-time homebuyers as a total of buying has barely kept with highs of 28% last seen in 2014 – with buyers in this segment reaching 21.41% in the second quarter of 2017. Andrew Golding, CEO of the Pam Golding Property group, said first-time home buying forms the backbone of demand. “The top-performing sectors at present include the lower priced band under R1 million and the smaller two-bedroom sectional title market – both of which reflect the consistently strong demand from first-time buyers,” said Golding. Lower borrowing costs and falling house prices could, in theory, create an affordable entry into homeownership. Existing homeowners have been struggling to make money from their residential properties over the last two years as house prices have barely kept up with inflation. Nominal house prices (before adjusted for inflation) rose by 3.6% year-on-year in June but in real terms (after adjusting for inflation) house prices fell by 1.5% in the same month, according to FNB. Since December 2015, house prices declined by 3.9% in real terms due to the worrying state of the economy. Already a number of property economists have downgraded their 2017 house price forecasts. Du Toit expects the residential market as a whole to clock up nominal house price growth of 3.5% this year (with a downward risk), markedly lower than 2016’s 5% and 6% in 2015.